Why do so many of our Financial Representatives stay? There are reasons for the industry-leading retention rate. One of the most important aspects of any job is that the company you work for supports you and is committed to growing your career. First Financial Group is part of the Guardian Network® As a Financial Representative with us, you have the backing of a Fortune 250 Company. Guardian Financial Representatives stay longer – much longer. In fact, after five years, over 89% of our Financial Representatives choose to stay with Guardian and their affiliated agencies1. This is no accident. Guardian devotes a great deal of thought and effort to making sure that our Financial Representatives are happy with us. The figures speak for themselves. Guardian provides our Financial Representatives with the know-how, resources, and quality financial products needed to establish a successful business. We are here to provide all the training and support you’ll need to get your practice off to a fast start. As a trusted Guardian Financial Representative, you’ll be directly in charge of your own career and you’ll have the independence to control your own schedule. Available only to Guardian Financial Representatives, this online tool helps you engage clients in a financially holistic way. The Living Balance Sheet helps guide you through a dialogue with your clients, showing them their complete financial picture and helping to identify areas to be addressed. The Living Balance Sheet can help your clients understand how decisions they make with their money now can impact the future, and enables them to set up lifetime goals. Not only is Guardian a highly stable company that has been here for over a century and a half, but ratings agencies such as Standard & Poor’s put Guardian toward the very top of the list in terms of capitalization and credit rating. Guardian backs insurance claims with higher amounts of capital reserves. Guardian is owned by its policyholders, meaning, from a client standpoint, that we operate in their best interests and have a long history of delivering on promises. . Whether you’re selling a new Guardian product or seeking administrative support for an existing account, you’re able to do business confidently with the knowledge that you’re representing an established, ethical firm. The Guardian Network® is a network of preferred providers authorized to offer products of The Guardian Life Insurance Company of America (Guardian), New York, NY and its subsidiaries. 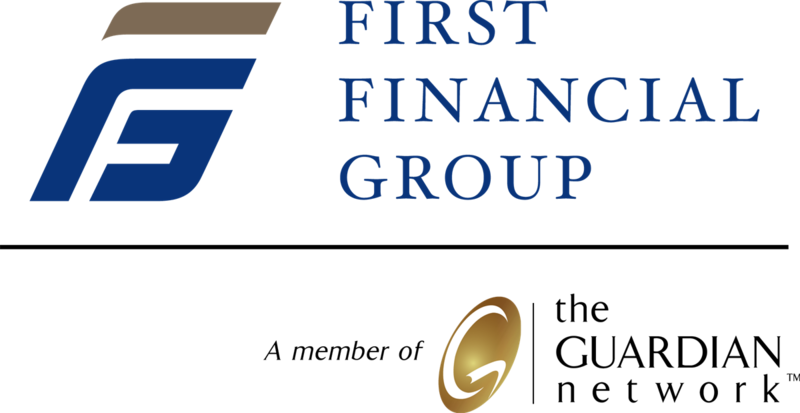 First Financial Group is an independent agency and not an affiliate or subsidiary of Guardian.